I'll admit it: I have a bit of a love-hate relationship with the way my phone handles notifications. Android notifications, y'see, get a lot of things right. They're easy to read, convenient to act on, and reasonably simple to manage — and increasingly advanced tools for controlling 'em show up with practically every new Android version (including the still-rockin'-that-new-software-smell Android Q, whose current early beta includes yet another fresh set of small but significant notification tweaks). Heck, spend five minutes with an iOS device, and you'll come back to Android feeling positively grateful for just how good we've got it. 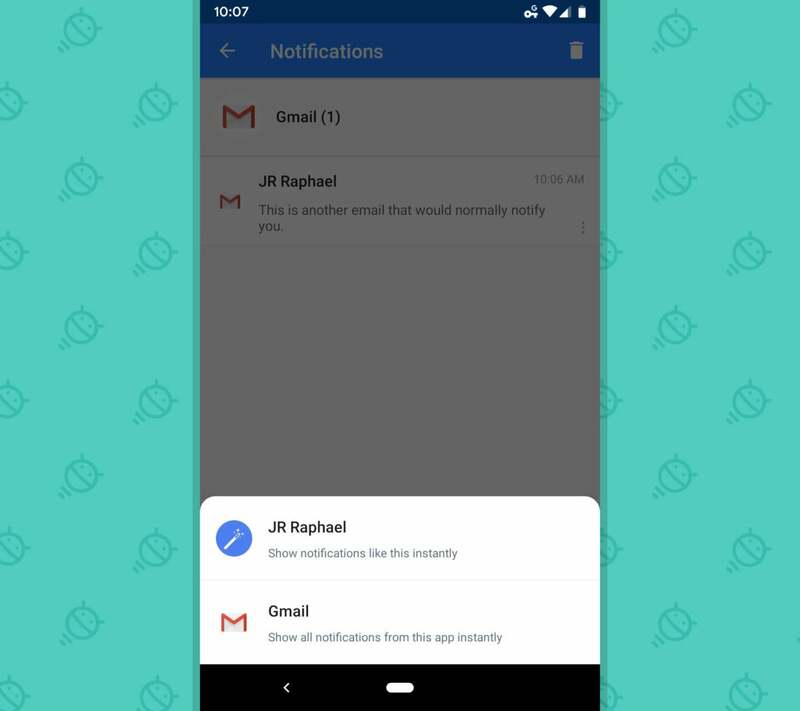 At the same time, though, there's so much more Google could do to make notifications better — to take that next leap forward, especially when it comes to the area of user-friendly and finely nuanced notification management. That's becoming more and more important these days as so many of us try to find the right balance between being constantly connected and being, well, sane, and it still seems like there's a lot of next-level thinking that's yet to be accomplished. 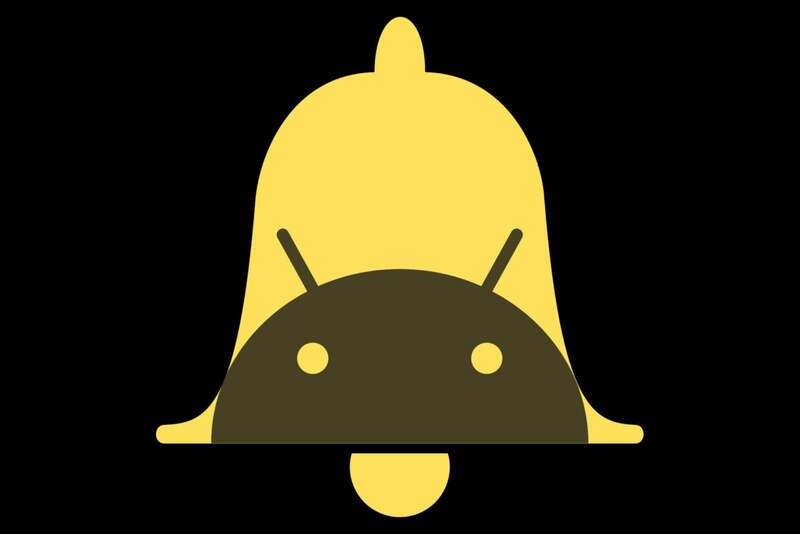 Google itself may not have stumbled onto the magic answer just yet, but a team of developers working with a Duke University behavioral lab has come up with a pretty impressive effort at reimagining the way our phones' notifications function. And having played around with their concept for a little while now, I can't help but think they're onto something. 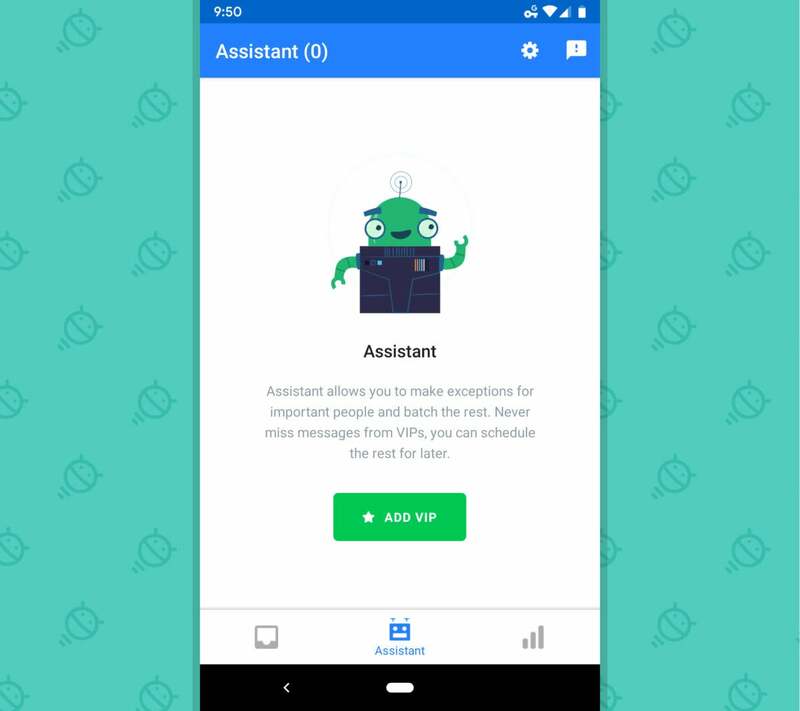 The team's app is called Daywise, and its aim is to act as an intelligent assistant that intercepts your incoming notifications, figures out which ones are truly important and which don't need to interrupt you immediately, and then delivers them all accordingly, in a way that makes sense for your needs. When you use it, it's hard not to think that the concept they came up with should be a native part of Android itself. Take a quick look with me at how the whole thing works, and see if you agree. 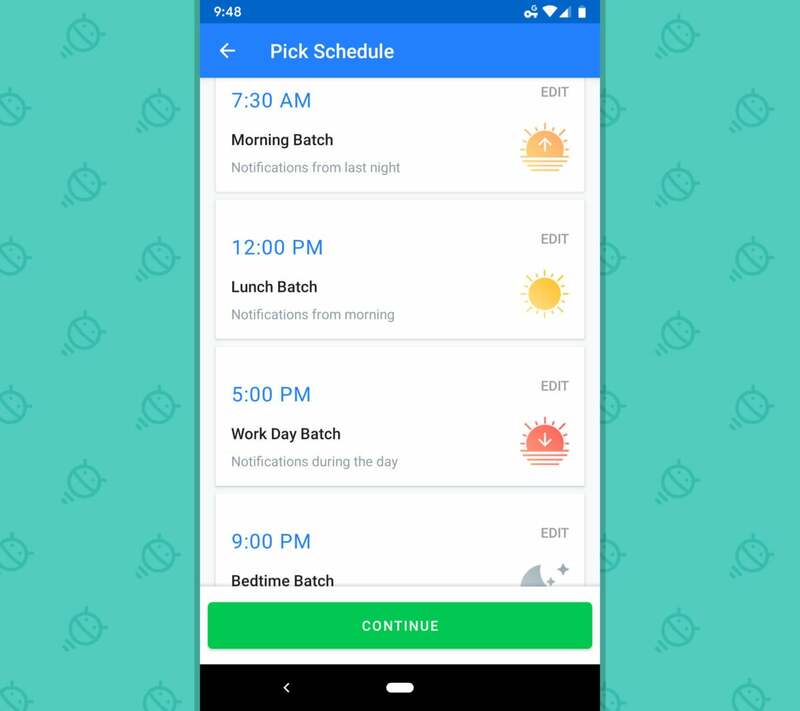 All right, so here's how Daywise operates: The first time you open up the app, it asks you to approve a schedule for when it'll deliver "notification batches" — groups of non-urgent notifications it collects over a period of time and then shows to you all at once, thus creating less productivity-zapping distractions and making more efficient use of your time. The app is designed to give you one batch in the morning, one at lunchtime, one at the end of the day, and one before bed. You can customize any of the times to make 'em work for your own routine. After that, Daywise scans all the apps on your phone and gives you a suggested breakdown of which apps should remain instant — where any notifications they generate reach you immediately, in the traditional manner — and which should be shifted over into the batch system, where incoming alerts are held back and delivered to you only at those set times we just discussed. For me, the recommendations were pretty spot on: Things like my messaging apps, calendar app, and phone app were all whitelisted for instant delivery by default, while typically less pressing stuff like Gmail, the Play Store, and my podcast app got sorted into the "Batched" section. If Daywise doesn't get something set up the way you want, though, all it takes is a couple quick taps to change it. Now, the especially cool part: Daywise gets even more nuanced from there. Let's say, for instance, you don't want to get instant Gmail notifications in general but do want to get alerted immediately about incoming emails from a few specific people — your boss, your significant other, maybe your favorite theremin player (just in case your wildest dreams come true and he or she ever emails you). Daywise has a separate section where you can designate VIP contacts whose incoming messages will act as exceptions to any rule and always alert you instantly whenever they come in, even if the associated app is configured to be a part of your batch setup. Once you have all that stuff set, you just sit back and let Daywise do its job. There's really not much thought to it from that point forward, either; things basically just work the way you'd expect: The app lets your whitelisted notifications through instantly and then saves all the rest to provide to you in batches at your predetermined times. Whenever you tap a Daywise notification to open up one of the batches, you see all the alerts bundled by the app that sent 'em. You can tap any alert to open it within its respective app, swipe it to the side to delete it, or tap its menu icon to set either the associated app or its sender to be treated as an instant-alert-worthy notification for the future. 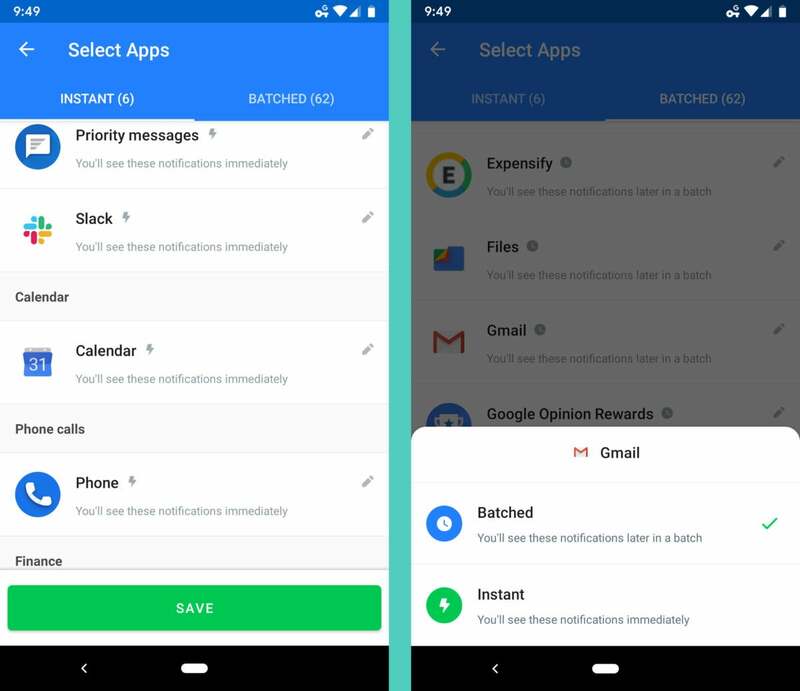 In fact, the terminology is almost identical: While Daywise revolves around notification batches, Inbox used email bundles to help you manage your mail and avoid being constantly distracted by unimportant messages. It'd automatically categorize incoming emails into one of several categories, which you could then set to appear in clusters at certain times of day instead of bugging you bit by bit every time an individual message arrived. It made for less interruptions and a more efficient method of dealing with email — just like Daywise does with notifications. The company behind Daywise, however, says it will never "sell, trade, rent, or otherwise transfer" personal info to others unless legally required — and that in the event the company itself is ever sold or acquired, it would share or transfer user data only if the acquiring organization agrees to keep it private. I reached out to the crew behind the app to clarify a little further. The company's co-founder and CEO, Ranjan Jagannathan, emphasized that accessing notification-related data is an unavoidable part of the Daywise service but noted that all such data is assigned an anonymous ID so that it's never associated with a specific, identifiable person. All such data, he also told me, is transmitted over an encrypted connection and then saved in password-protected databases. And moving forward, once the app is past its current beta phase, the goal is to reach a point where all important data stays on the local device and the processing happens there so that no transferring is even required. His team is also working to add in a feature that'll let you request to have your non-anonymous data deleted on demand — and in the meantime, he says anyone can reach out anytime and ask to have that data manually removed from the company's servers, should the need ever arise. The broader question with anything like this, of course, is always how the company intends to make money off the product — because ultimately, every app and service exists for a reason, and it's important for us as users to understand the nature of that relationship. Jagannathan says once Daywise is out of its beta state, he and his team will experiment with making it a paid service. Beyond that, they're working on a predictive intelligence feature that sounds like it might be marketed to other app developers as a service they could integrate into their own offerings. As with any third-party add-on, only you can decide if you're comfortable with the level of data access that comes with the territory. But even if you don't use Daywise directly, it's a fascinating look at how Android notifications can be pushed forward in an incredibly intelligent way — and worthwhile food for thought about how much more Google could do to take Android notifications to the next level. To wit: Just imagine this same sort of system being built into Android natively, with controls and shortcuts integrated directly into the notification panel. In my ideal scenario, it'd be fleshed out even further into a full-fledged notification inbox — with an email-like archiving system that keeps notifications accessible and rediscoverable, if and when you want, and a souped-up snoozing system that also takes a cue from Inbox and allows you to snooze notifications to specific days and times or even places in the future. There's no telling if or when any of that might actually happen — but hey, you never know (ahem part I, ahem part II). In the meantime, Daywise is a wonderful way to experience a taste of a smarter smartphone setup — and, on some level, to get a glimpse at what the future of Android notifications oughta be.